The number of companies large and small also exploded and many of the sponsors also had a major presence, including AutoDesk, Lego, DFRobots. More photos in next posts. 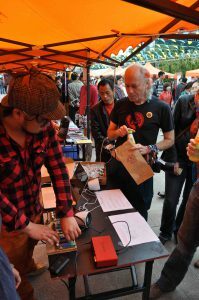 At the Shanghai Maker carnival I asked “the” Massimo to sign my Arduino (first of many Arduinos). He did and I have to say he is a very nice guy. Was hoping to get some feedback on the serial number and without any prompting he said “this is a collectors item” and when asked said that is was actually number 62,638. Prior to this at the pre-maker carnival party at XinCheJian, while exchanging background information with other party goers, I was about four seconds into my background “grew up with no TV, so had to entertain myself making…” when I was interrupted with “so you are a true geek” and to make this really official – this came from a cultural anthropologist who specialises in maker culture etc! 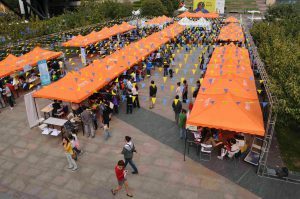 Author spanner888Posted on October 19, 2013 September 9, 2016 Categories About, Hardware, Open SourceTags carnival, maker, Shanghai, XinchejianLeave a comment on What am I? Was going to post a shorter article about below – but it felt way too much like I was just bragging – so I did not publish. Now after seeing and having the view that “XinCheJian = amazing” expressed by others – well I had to publish! Two weeks ago on the way to XinCheJian’s hackerspace in a container – went past the beginnings of the new FoxConn Shanghai building. OK that is a bit random – how about a week ago I opened XinCheJian door to let some people in – it was the new owner of HackaDay and the CTO. I was at XinCheJian to meet with David Li, founder of XinCheJian and so were they, so I got to listened and participate in a really interesting flow of ideas. Turns out hackaDay is really a side project and is just on of 70 sites they own, mostly in electronics! They have been exploring Shenzhen electronics markets and are looking into ideas for HackaDay! 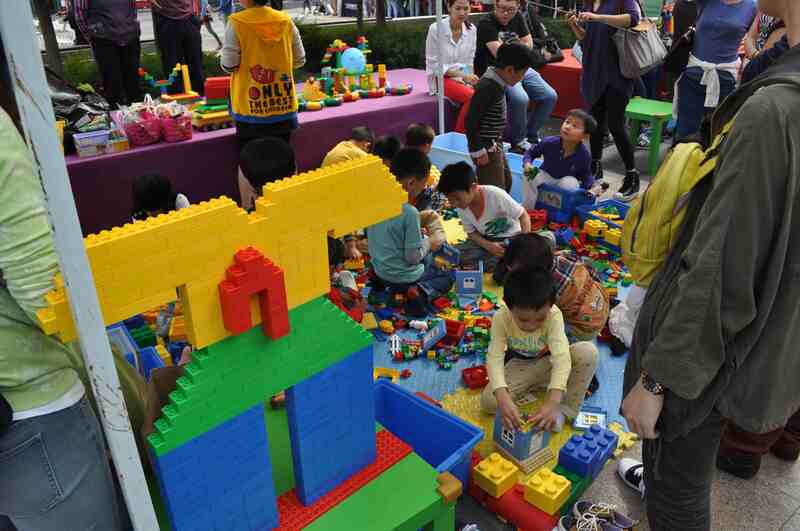 And it also turns out while I was impressed with meeting them and what they are planning, they were also very impressed with XinCheJian – see their interesting post. company could exist on such low volume production runs of 100s and 1,000s instead of their “usual” millions of units. suppliers and manufacturers also sell most services on common shopping websites like Taobao! 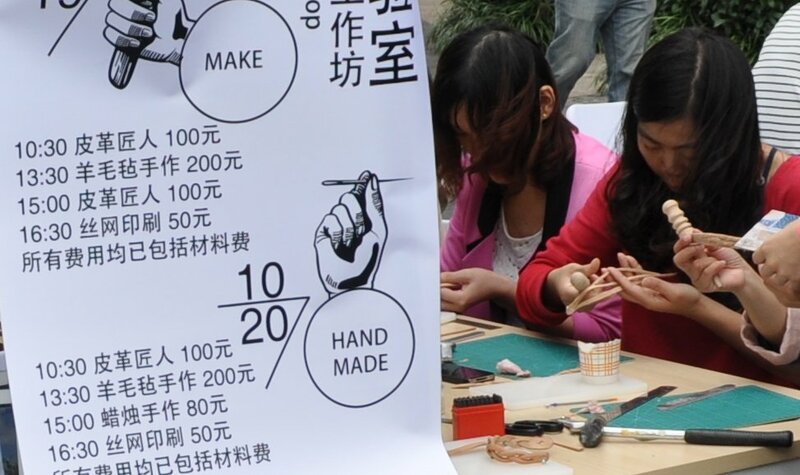 for about $10,000 you can just start manufacturing your product – no need for massive fund raising – maybe just borrow a bit from a few friends. 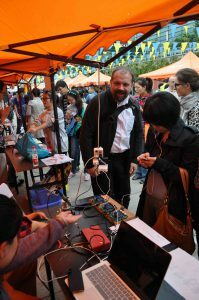 forget about http://phonebloks.com/ HIGHLY modular DIY design/make mobile phone!!!!! …. you go Shenzhen, pick and choose your phone modules, then for about $10,000 just manufacture it! large companies often have spare capacity – ie already paid for infrastructure and idle staff, so if you can convince the owner, manufacturing can and does occur cheaper without or only part of cost those overheads. SeeedStudio, Hackvana, DFRobot and ITeadStudio, Sparkfun, Fritzing, and Upverter and 3D printing services like: Ponoko and Shapeways and hardware accelerators like: haxlr8. Then there is also a small, but growing shift in the low volume market where more and more companies are now targeting low volume production at “affordable” cost instead of really expensive prototyping/low volume and also providing direct global access to these services, not just local access, for example: DragonInnovation and HWTrek and SnapEDA. 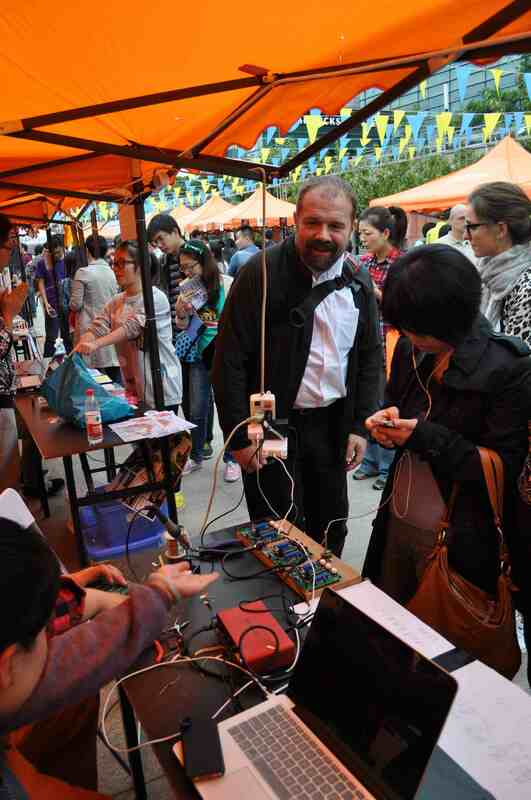 Finally – I hear that Massimo – yes from Arduino will be at XinCheJian in late October after BarCamp and Maker Carnival. pcDuino Arduino on steriods – better than new Arduino Yun? similar GPIO pins to an Arduino. Arduino “emulation” runs directly on the Linux hardware! usage – it all just works nicely! Arduino “emulation” – ie running Arduino GUI with Arduino code on the pcDuino hardware – just works. …and you can then run the program outside of Ard gui, even have it run on startup. In an Arduino, you might not notice if your code crashes. In a pcDuino crashes can be more obvious! If you do something bad in your code (like going beyond array bounds) – the terminal running your Arduino code might crash! your code does NOT run all the time power is applied like on Arduino, but only when you run it. memory – code size limits – seem to have vanished! A simple sketch “Binary sketch size: 17,517 byes (of a 104,857,600 byte maximum) – 0% used”. Then adding MANY k of text, yet compiled code size only increased by about 1k! reset switch is just like Arduino – it resets the entire board, but with pcDuino – this means instantly rebooting your Linux environment! Found it necessary to to do a full system update via the F8 boot menu and that not all Arduino libraries are yet available/functional – eg SoftwareSerial. The physical header layout seems odd with a non-Arduino layout and most headers on one side. Maybe some background on their design decisions on those layout choices would explain this. Speed – guess it runs way faster than Arduino – but have not checked yet, although compilation process is quite slow. 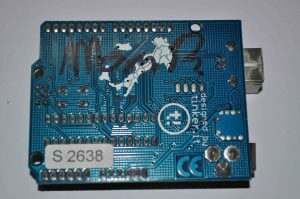 The LinkSprite translation board (T board) shield provides a standard Arduino shield pin layout so you can use your existing Arduino 5v shields and code, run faster and access the added Linux capability! That is actually very impressive! What other capability is there to discover? Guess need to explore this device some more – for example interrupts, sleep, timers. Co-incidentally there is a lot of press about the new Arduino Yun, which is also an Arduino + Linux hardware. The Yun has both Arduino & Linux hardware (plus WiFi) and has a serial bridge and library that allows communication between the Arduino and Linux hardware. 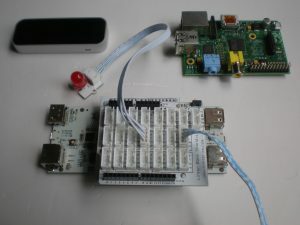 The pcDuino does not have the additional Arduino processor, but does provide almost the same IO pins with control via the same Arduino programming IDE. So the Yun is an Arduino (Leonardo) and has direct control of all IO, plus has some control of the Linux WiFi and other functions, and the pcDuino has direct control of all IO and Linux functions, plus if programming via Arduino IDE provides significantly extended Arduino capability. I don’t have a Yun to try so I can’t answer this posts title question, but I can definitely say the pcDuino really delivers and shows promise of improving further! Summary: pcDuino is a highly functional mini-Linux system that also adds several BIG features to Arduino capability, plus everything works right out of the box! 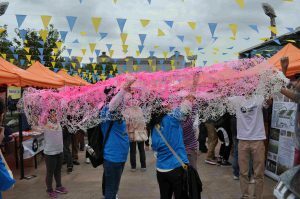 Author spanner888Posted on September 13, 2013 September 9, 2016 Categories Hardware, Open SourceTags Arduino, Linux3 Comments on pcDuino Arduino on steriods – better than new Arduino Yun? 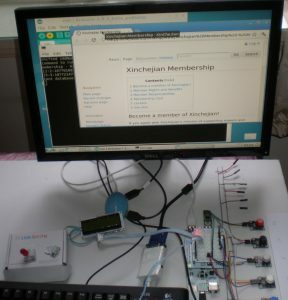 Went to XinCheJian hackerspace the other day to run Helper Session and left with a LeapMotion, pcDuinio with LinkSprite shields and sensors and a Raspberry Pi – all on loan – but such nice devices – made a great weekend. The LeapMotion has had plenty of press since it’s release, so no need to rehash that here, my big first impression after a quick setup and short time playing game, was of being totally lost once the game finished, then I realised oh – have to use the old keyboard and mouse again – it was a huge letdown after being so free using the LeapMotion! The rPi is one of the prizes for the SwarmRobot team (got shipped – returned and shipped again). Was going to use it for the new TheSpaceProjects, but then was told about the donation of several pcDuino’s and the LinkSprite shields etc. So now upgrading to pcDuino and maybe also the rPi. 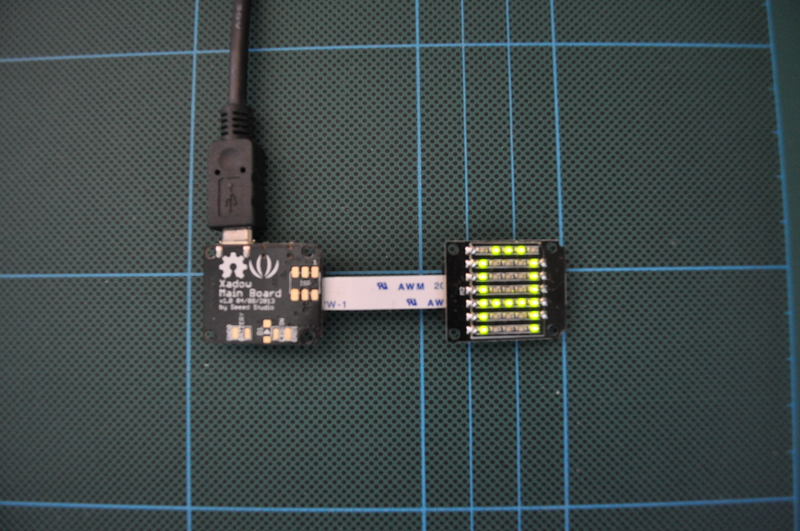 More posts coming on pcDuino – as first impressions are it is actually a LOT more capability than expected! Author spanner888Posted on September 9, 2013 September 9, 2016 Categories Community, HardwareTags LeapMotion, pcDuino, rPi, XinchejianLeave a comment on Hackerspaces are great! Trying to add a bit more wisdom to all the existing information that is around the web based on my tribulations with a SwarmRobot 32u4 based board (core of the Leonardo) and a SeeedStudio Xadow. the port may have a different name/number. Recent Arduino programming GUI versions usually auto-detect the change. If not, you may have one of the other issues below. Older Arduino programming GUI versions did not auto-detect and you had to manually change the port. Sometimes auto-upload works, other times you have to press the Leonardo reset button. It seems to run in streaks, working reliably for auto, then for manual reset. Don’t know how to reliably fix this. Sometimes solutions here work, often not. Sometimes Arduino autodetects the port correctly, but does not select it, so you need to check and select it. close and reopen the Arduino programming GUI, especially if you see red messages like “lib rxtx cannot access the com port”. reboot your computer and power off/on the Leonardo and if you see the above message. Under Windows 7, the following message usually means a computer reboot for me “processing.app.debug.RunnerException: Couldn’t find a Leonardo on the selected port. Check that you have the correct port selected. If it is correct, try pressing the board’s reset button after initiating the upload. If the com port is greyed out, try selecting the com port during that brief moment of disconnection and before reconnection after board is reset. Using your operating system sound events for this is very handy! in addition to HID control of mouse or keyboard that you have programmed, I suspect that on some Leonardo style boards active HID control sometimes causes issues. I use a few seconds delay in setup function to avoid this at least while developing my code, in addition to the generally suggested method to easily disabled HID mouse/keyboard control. Sometimes you end up with multiple copies of Avrdude running and using a lot of CPU. For me this occurs occasionally under OpenSuse. All my attempts to get OpenSuse working with Xadow failed for weeks, until I left the Xadow plugged in at computer power on/boot, then ran the Arduino GUI with root privilege, then after that the GUI ran OK with userlevel privileges. I really do not understand why this is so! Added header pins to the Xadow breakout board, plugged in the MMU 6050 sensor, uploaded the SAME code been testing on the Teensy++2 and success – the Xadow works as an air mouse! 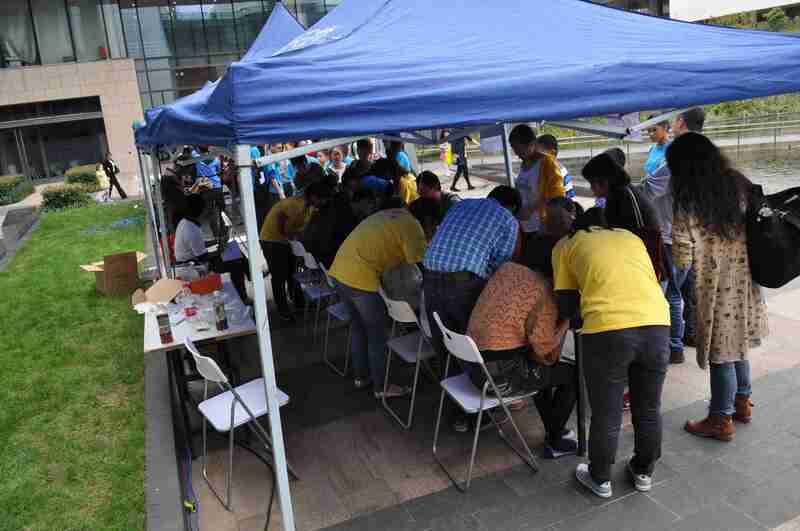 I did comment out the button code as I have loaned my buttons to another Xinchejian Assistive devices team member. Also changed the movement sensitivity. 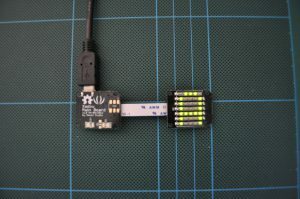 Will probably use the Teensy to continue the sensor – library debugging as it has heaps of IO to drive LEDs or a logic analyser. Will also move the draft code for the virtual button control to both boards and then should have a fully functional mouse. There are a lot more features planned, so this will be a highly capable and highly adaptable mouse! 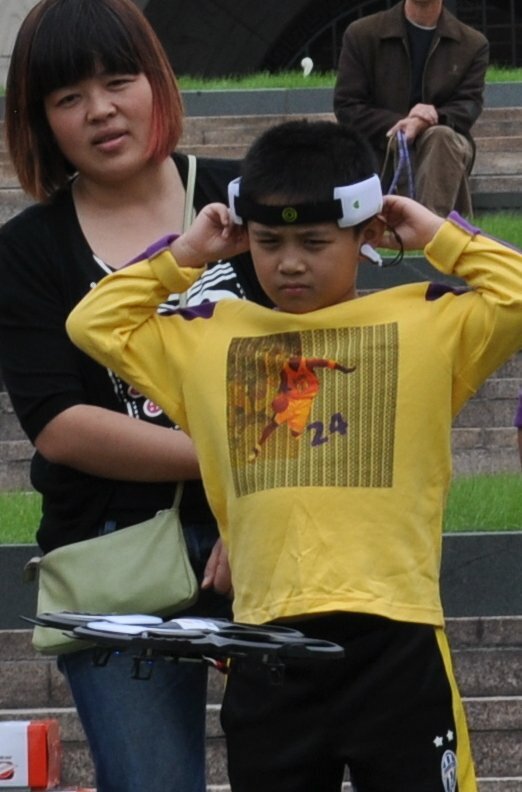 A Xinchejian members first experience is in this second video – only instruction to him was hold like this and rotate! Seems like he was quite impressed! 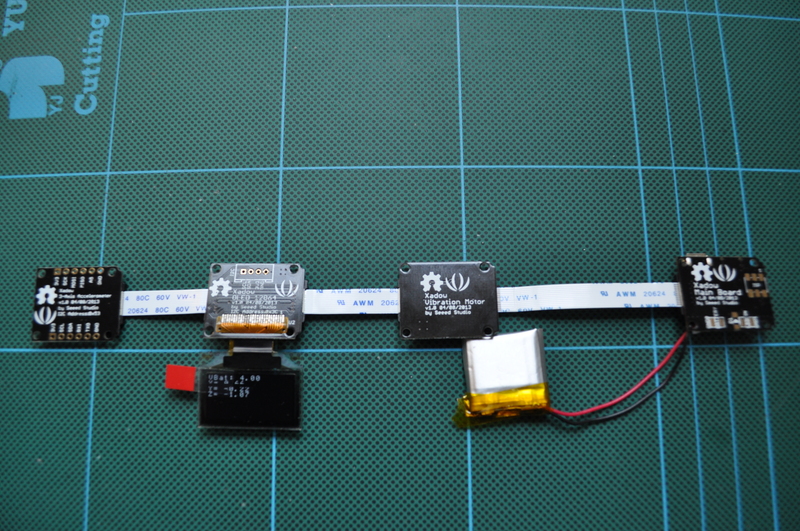 This more complicated demonstration uses an accelerometer to detect movement, displays accelerometer values on the OLED display and vibrates to indicate movement detected! The demo code works first time, although the wiki instructions do need a little update to help klutzes like me. I’ll have to get stuck into those updates next! First try with the Xadow was using the LED demo code. Looks really nice and has me thinking hard for some more nice motion displays. 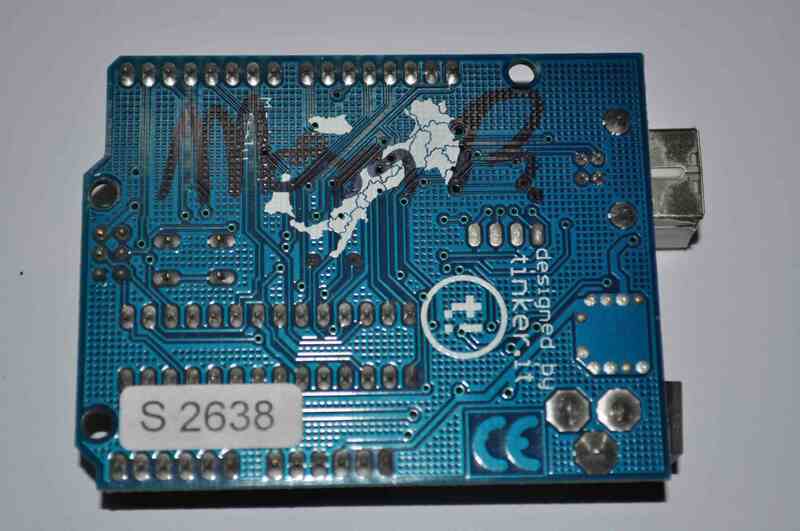 Especially as the Xadow display board also has an ATmega168 on it! The Xadow runs well from the supplied battery, so these little devices should really make very useful little wearable devices with plenty of show-off bling and some real capability as well!. Alvin on pcDuino Arduino on steriods – better than new Arduino Yun? pcDuino Arduino on steriods – better than new Arduino Yun? | LinkSprite Learning Center on pcDuino Arduino on steriods – better than new Arduino Yun? pcDuino Arduino on steriods – better than new Arduino Yun? | pcDuino: mini PC+Arduino on pcDuino Arduino on steriods – better than new Arduino Yun?